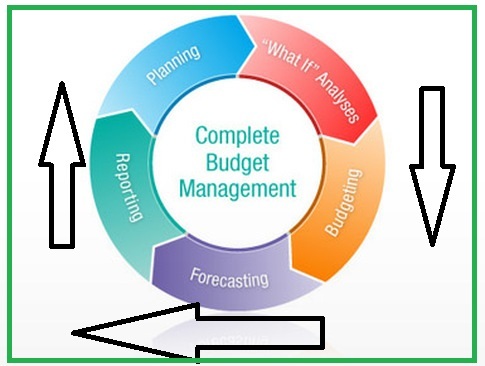 Understand why organizations budget and the processes they use to create budgets. Prepare a sales budget, including a schedule of expected cash receipts. Prepare a direct materials budget, including a schedule of expected cash disbursements for the purchase of materials. Prepare a direct labor budget. Prepare a selling and administrative budget. Prepare a budgeted income statement. Prepare a budgeted balance sheet. In Business | Automating the Budgeting Process A number of companies, including Texaco, Fujitsu, Sprint, Nationwide Financial Services, Nortel Networks, Owens Corning, and Xilinx have been attempting to reengineer and automate the budgeting process. The goal is to eliminate the conventional iterative budgeting process that often finds preliminary budgets being passed up and down the management hierarchy many times before final agreement is reached–wasting much time and resulting in budgets that often don’t reconcile. Apart from the tremendous technical challenges of integrating diverse budgets from many different operations, automation faces a high behavioral hurdle. As Greg Vesey of Texaco states, “Planning is the most political of all processes to fall under the finance function.” Consequently, as many as half of all automation efforts fail. Companies such as National Semiconductor Corp. have given up entirely and have returned to their old budgeting methods.